If you needed any more encouragement to get a better night's sleep, here it is. Researchers from the University of Southern Denmark had found that sleep-deprived men actually have lower testosterone levels and also have reduced sperm counts. To add insult to injury there was observable testicular size shrinkage when men didn't sleep enough. 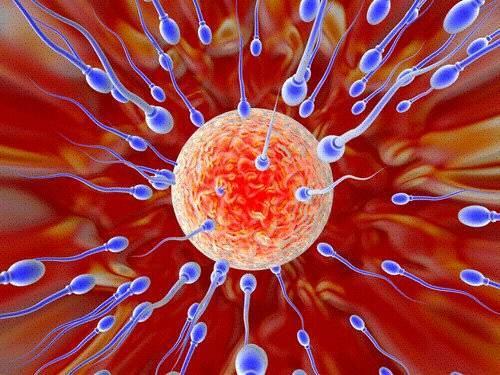 Sperm counts in the industrialized world have been dropping precipitously for decades. The fall has, to this point, been attributed to lack of a proper diet and an unhealthy and increasingly sedentary lifestyle. For this study, researchers surveyed close to 1,000 men who were in their late teens and early twenties about their sleep schedule, interruptions in sleep, and sleep habits. Men's testicles were also measured and sperm counts were taken from all men and assessed for sperm count and viability. In men who had sleeping problems,such as insomnia, staying awake late or had inconsistent sleep through the night and woke up often, researchers found that sperm counts dropped by 29 percent. Additionally, their sperm were 1.6 percent more deformed and their testicles were smaller also than their well-rested brethren. Echoing theories about unhealthy lifestyles, the researchers did admit that men who had poorer quality of sleep led unhealthier lives than those that slept well. Men who typically had a bad nights rest were more overweight, fatter, drank more alcohol, and smoked more than men who had good quality sleep. Is this a chicken or egg situation? Is low quality sleep damaging to levels of testosterone and overall health, or is making unhealthy lifestyle choices like smoking and drinking affecting sleep, testosterone, and sperm levels? More studies need to be undertaken to determine what is causing what. The research published in the American Journal of Epidemiology can be found here.